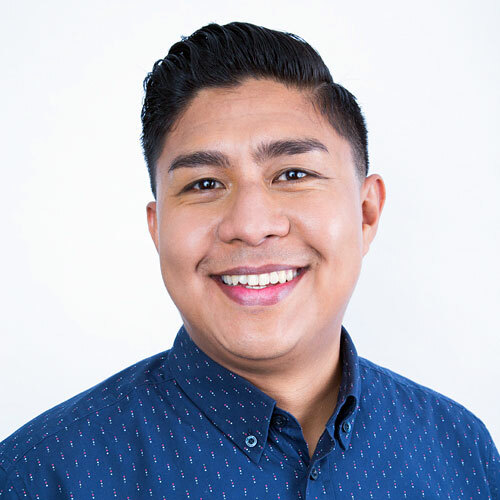 Frank Romero-Crockett is a digital strategist and print/web designer that has worked with dozens of ventures, higher education programs, and political campaigns on their branding identity, websites, marketing collateral, and social media outreach. He focuses on developing authentic brands that allow the website and online marketing to tell a clear and developed story to the audience. Frank specializes in creating a better user experience on website and mobile browsing, tracking and analytics, using an integrated marketing approach. With degrees in education and digital marketing & strategy, Frank is posed to coach businesses towards more innovative designs, client-focused marketing and online engagement. Past projects and clients include Coro Southern California, United Way of Greater Los Angeles, Azusa Pacific University, Southern California College Access Network, Progressive Christians Uniting and Fast for our Future – An Immigrant Rights Campaign.